The bank said it “deeply regrets” if the bank added further to the upset following the death of her partner Fiachra Daly. KBC BANK HAS said it will not pursue the partner of the late Priory Hall resident Fiachra Daly for the balance on their mortgage. The statement, issued this evening, comes after reports that Stephanie Meehan received a letter from the lender saying she owed €17,000 on a property she and her young family have not lived in for two years shortly after her fiancée took his own life. Meehan’s financial advisor has been advised of the bank’s decision in this specific case. “Given the specific circumstances of this tragic case, KBC acknowledges that any residual amount on this mortgage is irrecoverable,” the company said in the statement. It also acknowledged that it may have heightened the family’s difficulties after the father-of-two took his own life. KBC deeply regrets if the bank added further to the upset of Ms. Meehan and her family following the passing of Fiachra Daly. With regard to other Priory Hall mortgages, the lender said it continues to make a freeze on loan repayments to all customers. Fiachra Daly died by suicide on July 15 this year, an action that his partner and mother of his children attributes to the financial strain they were under due to the evacuation of Priory Hall two years earlier. She spoke to Ryan Tubridy on the Late Late Show on Friday evening, calling on the Taoiseach to act now and deal with the legacy issue of Priory Hall. Email “KBC Bank will not pursue Priory Hall's Stephanie Meehan for mortgage”. 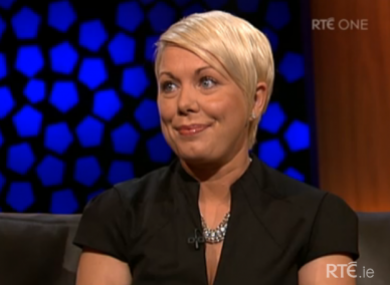 Feedback on “KBC Bank will not pursue Priory Hall's Stephanie Meehan for mortgage”.